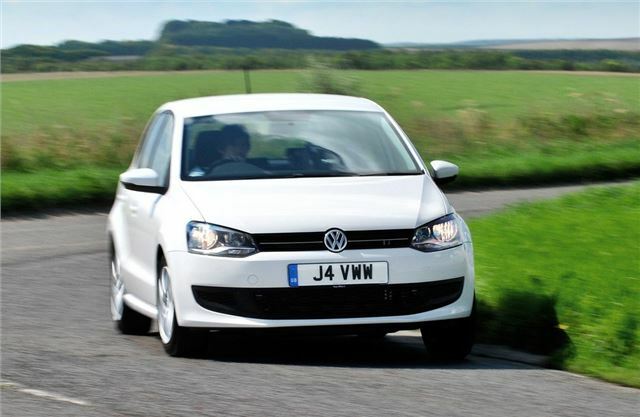 Volkswagen has launched a new model in the Polo range - the R-Line Style. Based on the entry-level Polo S it gets the R-Line bodykit which includes redesigned bumpers, body-coloured door handles and mirrors lus 16-inch alloy wheels. Prices start at £11,740 on the road for the 1.2-litre 60PS model. Inside it gets Bluetooth but surprisingly air conditioning is an option. The rest of the Polo range gets a tweak too. The Polo BlueMotion and Polo Match - which has been renamed the Polo Match Edition - now get rear parking sensors as standard along with cruise control and an alarm. Together, the extra equipment has a value of £510, but the price for these models is increased by £135 starting at £11,910 on the road for the 1.2-litre 60 PS three-door. Further up the Polo range, the SEL, R-Line, BlueGT and GTI models all now come with cruise control and rear parking sensors without any increase in price.